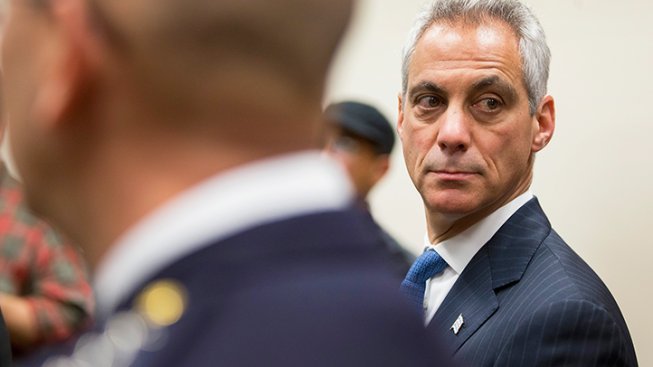 Fortune Magazine included Rahm Emanuel on its list of the “World’s 19 Most Disappointing Leaders” this week. McDonald was shot and killed by Chicago Police officer Jason Van Dyke in October of 2014. Van Dyke was not charged with McDonald’s murder until November of 2015. Fortune faults Emanuel for first categorizing the incident as an example of a single cop gone bad and then pivoting to ask for “complete and total reform” of the department. The article also notes that Emanuel first stood behind former Police Superintendent Garry McCarthy before changing course and firing the embattled top cop. New Jersey Gov. Chris Christie received the magazine’s award for “the most breathtakingly craven political move of the year” for his endorsement of Republican presidential frontrunner Donald Trump. Christie dropped out of the presidential race in February and endorsed Trump’s candidacy later that month. Throughout the course of the campaign, Christie was critical of the billionaire. “We do not need reality TV in the Oval Office right now,” Christie said at an Iowa campaign stop in December of last year. “President of the United States is not a place for an entertainer. Shkreli, also known as the “most hated man on the America”, was federally indicted and arrested on charges of security fraud last December. The list also includes Michigan Gov. Rick Snyder for his mishandling of the Flint water crisis, among others.